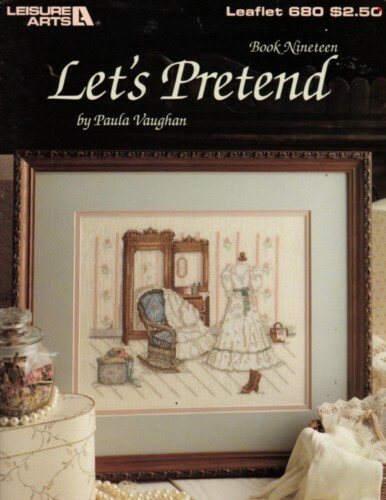 Leisure Arts Let's Pretend Paula Vaughan Bk 19 Cross Stitch Pattern leaflet. Full color charted design. Stitch count 144w x 121h. Some very minor shelf wear and red ink dot on cover.